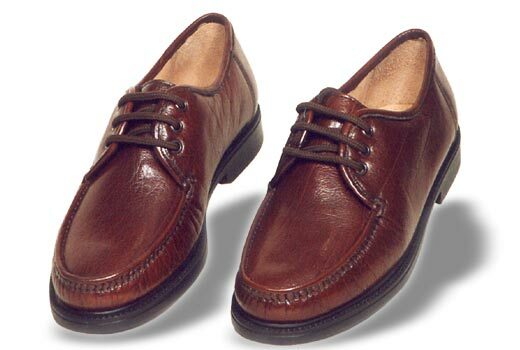 lace up moccasin from brown polished buff leather. The knitting in the front is done by hand. The sole used is PU. It has complete foam padding in the upper, leather lining and is very flexible and comfortable.